Are you looking for your dog name? If you have a new puppy at home or you are waiting for one, we are sure that you are thinking about how to name it. This is important because it’s essential to have a name from the very beginning so that it can grow accustomed to it. There’s a huge variety of cool and cute dog names . Which do you choose? It should be a memorable name for the puppy. Avoid the long and strange! Many animals, including dogs respond better to one and two syllables so instead of calling it "Pimienta", it will respond better to something shorter like "Pimi" or "Menta"
We recommend avoiding names that may confuse your dog at the time of training, such as "sit”. What kind of name do you like? 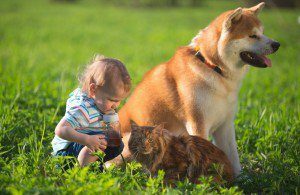 There are dozens of fun and creative names for your dog or puppy on this site - you will be able to find the perfect to suit the personality and characteristics of your new canine friend! We have collected many dogs names - imaginative, fun, cute and special for any breed, male or female - for you to choose. 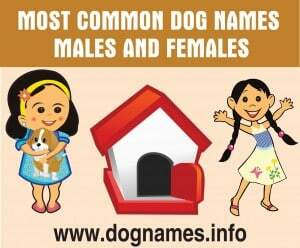 Infographic with most popular dog names of our website dognames.info during this year 2017. Here you can find names in the category: male/female. Do you have a female dog and do not know what to name? We have compiled the most successful have had throughout this year 2014. Many of the most popular the past are repeated, such as: Bella, Kiara and Bambi, pert there are new names that are gaining popularity, as Penny, Anni and Abba. There are all sorts of names for female dogs, you have to decide as you prefer, if short or long, if fun and edgy or traditional, popular or weird … Which will you choose?